Malys-ex icon set is designed by Malys from deviantart, he also made some other popular icons (UniBlue & UniBlack) and themes. 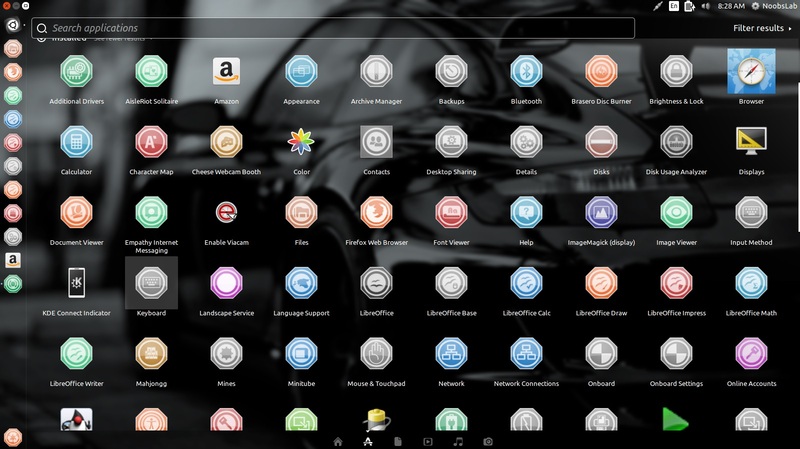 A guy from gnome-look modified malys-ex icon set and gave a hexagonal shape to icons with new name Octagon, which seems quite unique. This icons theme contains more than 3000+ icons and can be fit with any kind of light or dark theme. It is compatible with most of the Linux desktop environments such as Unity, Gnome, Cinnamon, Mate, and others. You can use Unity Tweak Tool, Gnome-tweak-tool or Ubuntu-Tweak to change icons.